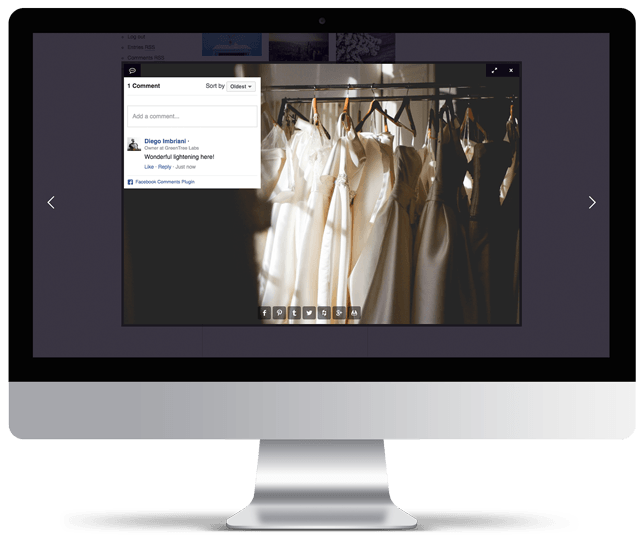 Enjoy one of the most complete lightbox plugin for WordPress… for free! 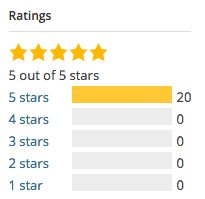 EverlightBox is already active on 1,000 websites and it’s rated with full votes (5/5 stars) on wordpress.org. Engaging your audience is one of the most simple ways to boost up your presence on social networks. 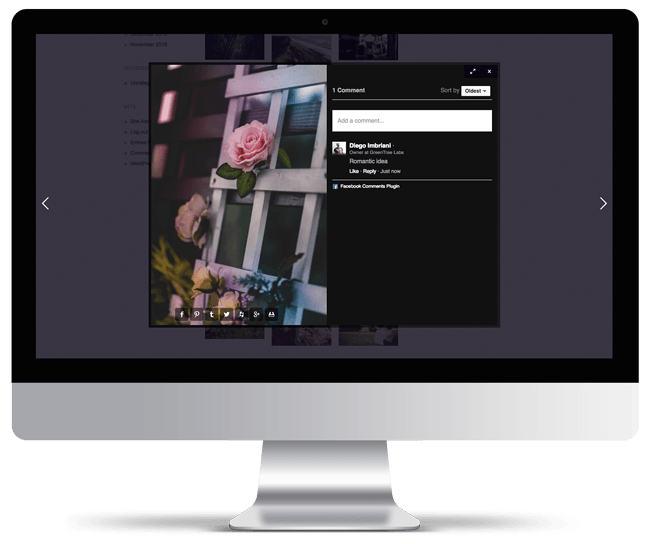 EverlightBox is able to share the image the user is currently looking at, while all other lightbox just share the main image on that page. EverlightBox can currently share on: Facebook, Google+, Twitter, Tumblr, Houzz and Pinterest. Free plugin doesn’t mean poor quality. 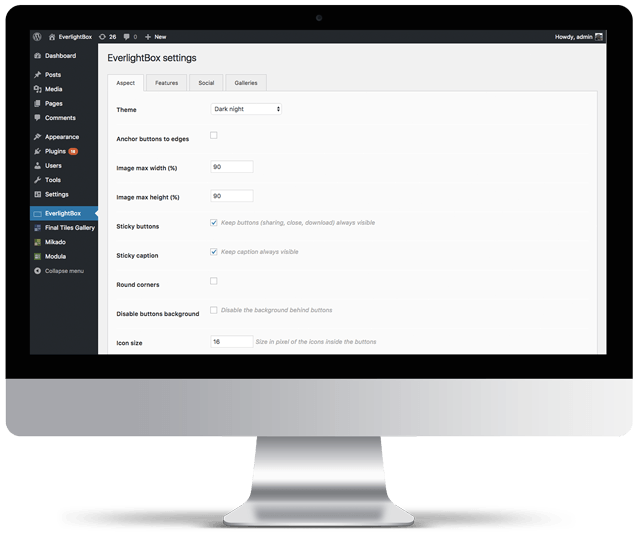 EverlightBox has many useful features to customise everything, from aspect to social connections.. This plugin is always under development in order to keep the widest compatibility with WordPress themes. We also love getting feedback and suggestions for new features. Use the official forum to report issues and propose new functionalities. Does it work on smartphones and tablets? Yes it is. You can even use swipe gestures to browse all the images. Does it work with my theme? We abviously can’t test any theme in the world, but Modula Grid Gallery is currently active on thousands of websites, so we are 99,99% sure it’s compatible with your theme. If not, we’ll fix it! No, it doesn’t crop nor stretch images. Will I have support if use this plugin? Yes, there’s a support forum. Average response time is about 24 hours. If you need dedicated support you can buy a license of EverlightBox Pro Pack. Feel free to drop us a line or two with your doubt, will try to give you an answe as soon as possible!